. 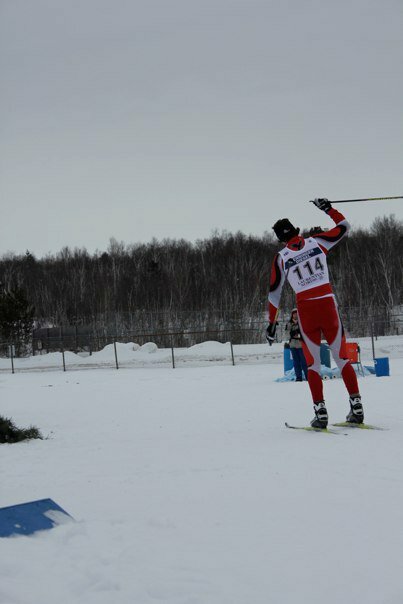 : OUA Championships 2011 :: Ski XCOttawa.ca :: Skiing in Ottawa and Gatineau Park :. 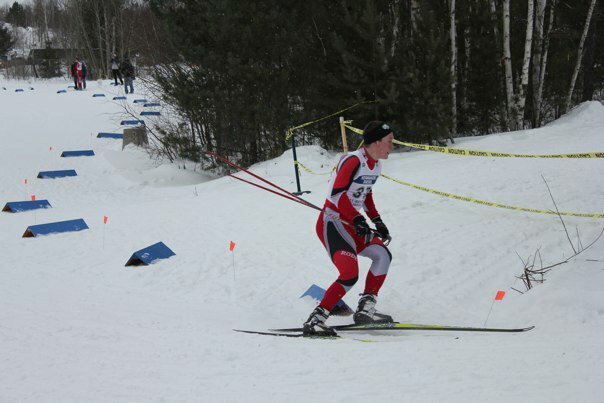 OUA championships is the highlight of the Varsity competition circuit and was held this year at Laurentian Nordic in Sudbury. The race format this year was different than previous years with two individual start short distance races on Saturday, and a team sprint on Sunday. Women skied a 5km course classic in the morning, then switched to skate in the afternoon, with the men doing a similar 7.5km course both classic and skate. Times from both races were combined for overall results for University team points as well as overall individual points. Needless to say Saturday was a really tough day both mentally and physically, as both races were individual start and were short enough that you had to go close to the limit the whole way, but long enough that going a bit too hard could make for a bad day overall. The course was fun and the grooming was excellent despite the severe snow drought that Sudbury has experienced this winter. 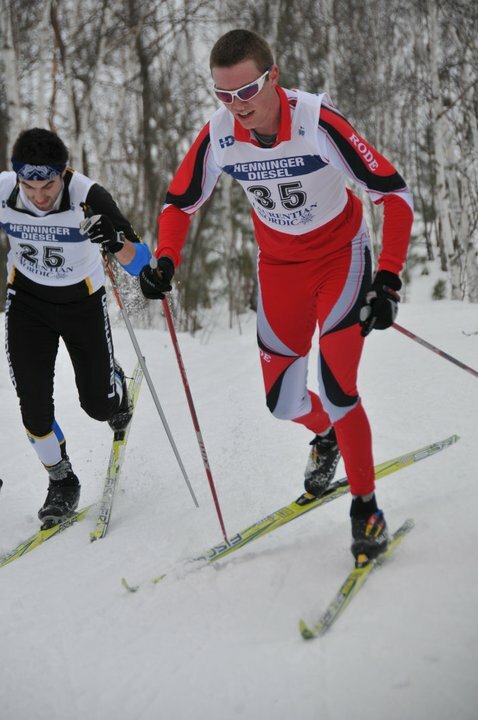 Matthias Purdon led the mens team with silver medals in both the classic and skate races, Peter Beisel was 3rd in the Classic race, with Kyle Power just behind in 4th spot. 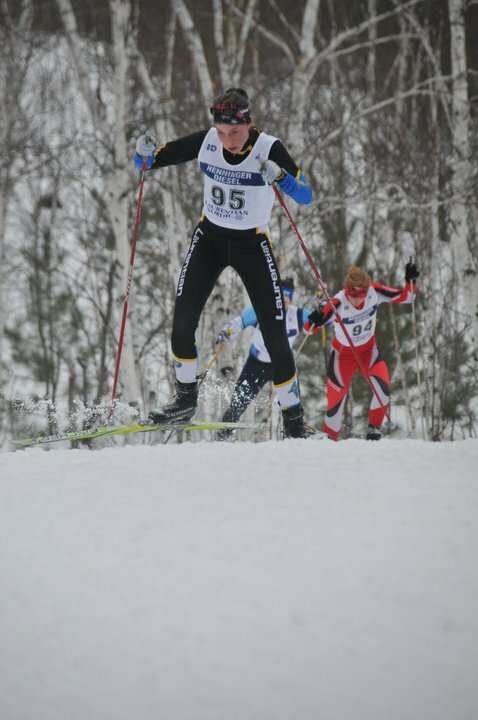 The top woman from Carleton was Brittany Pearson who was top ten in both races, 9th in the classic and 10th in the Skate. The two person sprint relay on Sunday featured heats to qualify for either an A or B final with the winning team in the heats moving on to the A final. Two "lucky losers" with the top two times from non-wining teams also advanced to the final with the next six fastest times moving on to the B final. A 1km loop was done three times by each member of the team. Peter Beisel and Matthias Purdon won the A final, with Kyle Power and Andre Marchand coming in a close 3rd behind Lakehead's A team. Lee Hawkins and Nansen Murray came in 5th in the A final, beating out Guelph's A team. 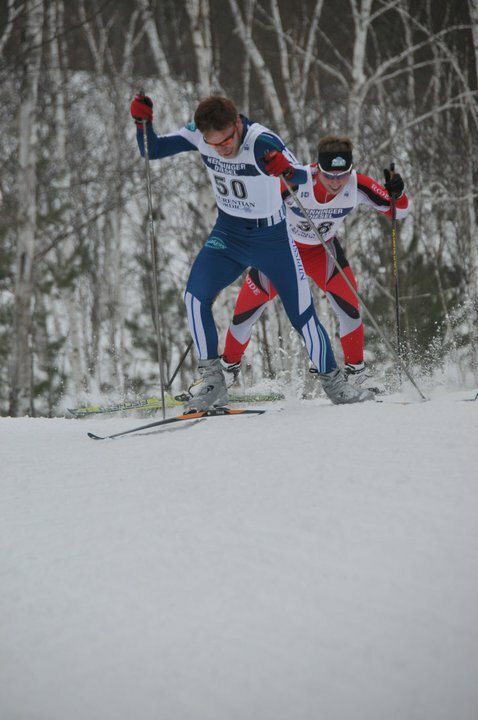 Logan Potter and Devin Fair finished 2nd in the B final behind Lakehead's B team. 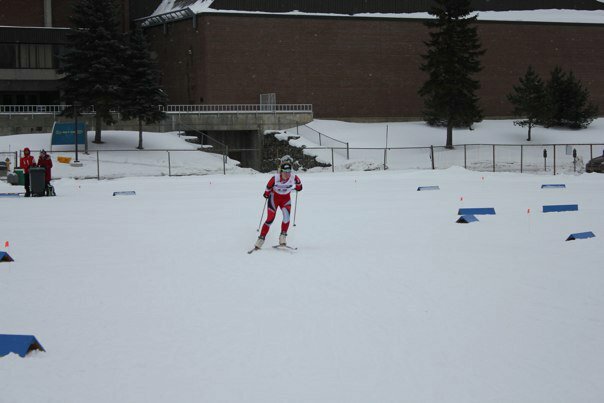 Brittany Pearson and Ingrid Hagberg won the B final in the relay competition. 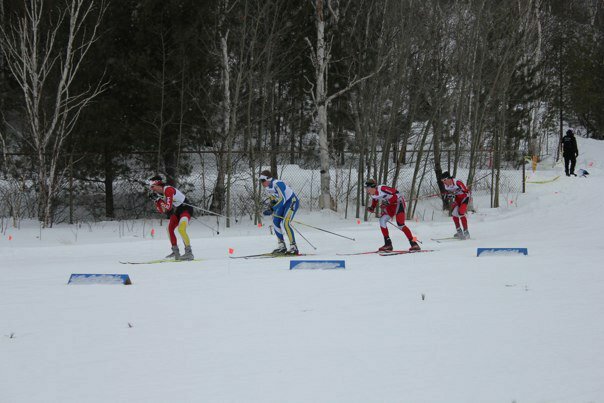 The Carleton University nordic ski team had a solid weekend, winning the mens overall title for the second year in a row and coming in fourth overall on the womens side. 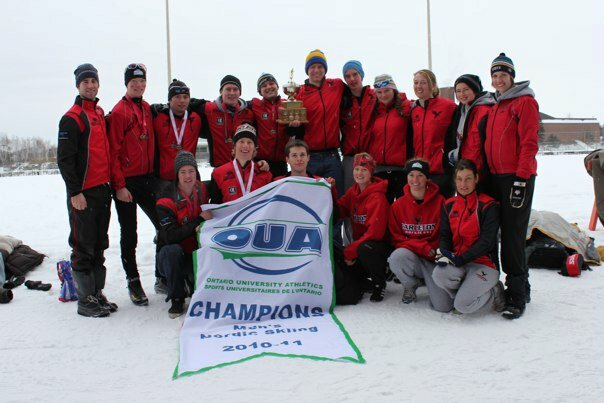 xcOttawa/Carleton Varsity skiers Kyle Power, Peter Beisel, Matthias Purdon, Logan Potter, and Andre Marchand, and Carleton skiers Brittany Pearson (xcOttawa Alumni), and Nansen Murray, were all named OUA all-stars (overall top ten). Thanks to our coaches for all of their support and hard work, and to the organizers for putting on a great event! Here are some photos- Thanks Mark Dewan, and Brittany Pearson for these! The whole team bringing home the banner! XC News: XC Ottawa Goes Red!